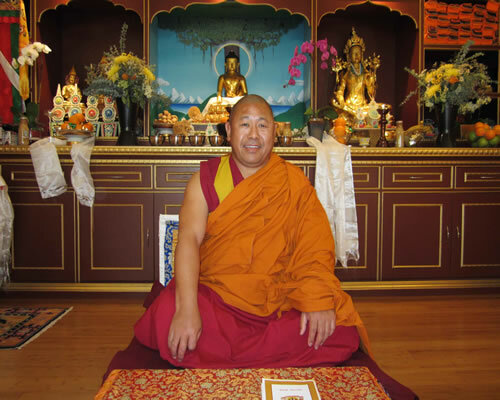 I am very delighted to inform you of the Land of Enlightened Wisdom or Kunkyen Yeshe Ling (Tibetan) - a Tibetan Buddhist Center in Pomona, California. At the requests of and with the help of several dedicated Dharma friends, I have founded this Buddhist Center. Its aim is to benefit everyone who is interested in learning and practicing Tibetan Buddhism based on the Great System of Nalanda Monastic University of Ancient India. This center is dedicated to the study and practice of Buddhism. To fulfill the needs of individuals with different orientation to Buddhism, I have designed a schedule of Teaching Program at three different levels of Beginners, Intermediate and Advanced students. You can visit the Teaching Program and other relevant information on this website. Once again both new and old students are welcome to the center. Please feel free to contact us for further information.